How many of you had a less than ideal Black Friday experience? Perhaps your sales for the day were a little flat or even nonexistent? What about Small Business Saturday? Did it sink or swim for you? As we draw a close to Cyber Monday, the very last chance of the weekend festivities to create that cash, I’m curious to hear how you fared. The buzz on a lot of the forums I participate in is a pretty negative one at the moment though some people redeemed themselves on Cyber Monday. Would you classify your weekend as a success or a sink? I want to challenge you to consider your weekend a success no matter what your actual financial outcome may have been. Here’s the thing: In business, we have ebbs and flows. Our income will peak and fall and hopefully peak again. Traditionally, Black Friday has been a retail holiday developed so that big box stores could generate real heat to kick off the holiday season. They have the uncanny ability to jack up prices in the months to weeks before the sale so it appears as if they are offering giant sales. Small businesses can’t quite compete with this model. Enter Small Business Saturday. 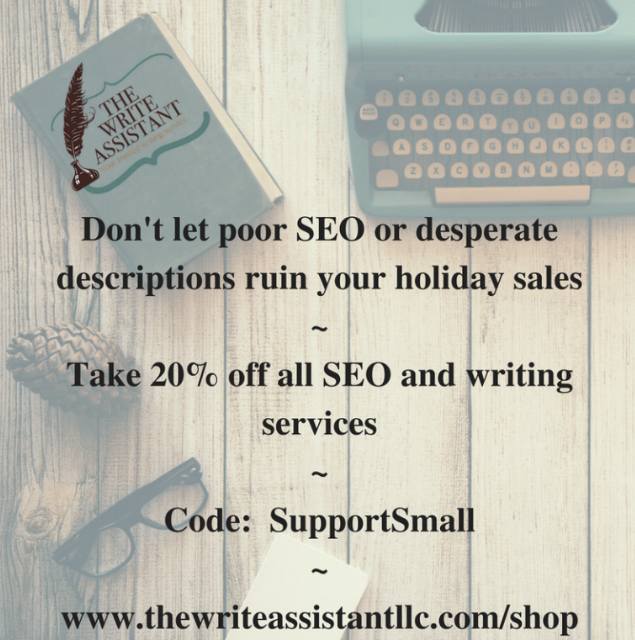 Again, this is more of a retail holiday in my mind and so it doesn’t always translate to online sellers. 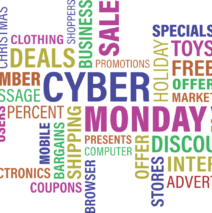 That is OK. Cyber Monday is often considered the saving grace of the series. Even if you did not have a major blow out in sales, I want you to consider this weekend a success. You learned something, even if you didn’t earn something. What went well with your marketing? What didn’t? My weekend was not as financially successful as last year. That’s OK. I know why and I can use this knowledge to improve my approach for next year. On Thanksgiving evening, Sean and I were in a car accident. We were in the final leg of our 41 hour cross country trip when our tractor trailer ended up banked into the asphalt in such a way we were literally grounded between lanes (next to a river!) for about three hours in the pouring ice rain. A brigade of cop cars, road flares, and a heavy duty rig for extricating trailers was needed. By the time we made it to our family Thanksgiving, it was well past supper, we were frozen solid, soaked to the bone, and utterly exhausted. My Black Friday marketing did not happen as planned. The next day, I realized I had no internet access at the house I was staying and so we decided to hit the road for the final four hours to get to Vermont. I tried to promote during rest stops. It wasn’t so successful. 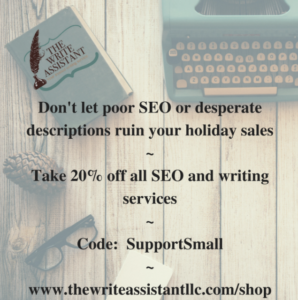 By the time Small Business Saturday rolled around all I wanted to do was sleep and today, Cyber Monday, I am just getting my blog out at around 5 PM EST! My coupon code, which is set to give 20% off everything, was set incorrectly and ended up paying customers $20 TOWARD any order even if that order wasn’t worth $20 before a discount! It has been a hectic, hectic weekend. I promise. I survived a car accident. I was able to see family I have missed for years. I was able to interact with my friends, clients, and followers in a way that reminded me this time of year isn’t just about sales. In fact, it should be about strengthening our relationships. It should be about showing appreciation. To that end, I want you all to know how much I appreciate you. I appreciate everyone who purchased from me, everyone who sent their sympathy and concern, and everyone who shared their victories. This is only one holiday. These have only been three days. We still have 363 more each year to turn into financial milestones. So let’s do exactly that. Me from enjoying life. My goal was 10 sales. I only made 5, but I decided to post a map on my wall of all the states I’ve sent my jewelry to, and it’s 16 states so far, plus France! I just have to be joyful and proud of my 6 month old business and. It worry about competing with someone else’s success! And yes it’s going to be OK! So glad you’re ok. I’m sorry you’ve had such a time. Holy cow…so glad your family is safe and sound. Loved this article. I’m so glad to hear that you are safe and sound in spite of the accident. I truly appreciate your writing and insights…and today your encouragement! Onward to the next 363 days!! What an uplifting blog , many thanks and a great message for everyone . Very kind of you to post while going through all that you have . Thankful your family is okay and cheers to a new start !